AS PART OF A 200 HOUR YOGA TEACHER TRAINING, WE ARE OFFERING OUR CERTIFICATION PROGRAMS IN CALIFORNIA THIS FALL. 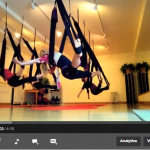 8 Dynamic and Acrobatic Movements for more advanced students, strength, and agility in the air. 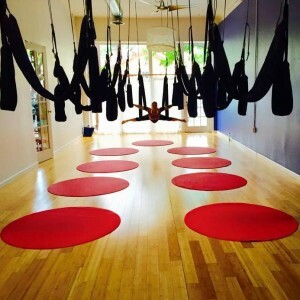 Our Aerial Yoga Swings are specially made to be supportive, stretchy, and comfortable. They support your body in your yoga practice and increase your ability to enter into challenging poses, like backbends and inversions, with more safety and ease. Jen Healy is the founder of Aerial Yoga Play, The Quantum Playground, Zen Healyng, and Healyng Technologies– bringing together the best information and excellence in Quantum Healyng Technologies, Energetics/Energy Management, Advanced Healing Arts, Conscious Movement, Yoga Therapy, Empowerment and Evolutionary practices. 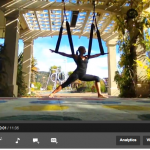 She has over 20 years experience as a dedicated dancer, athlete, yogini, and natural arcobat. After thoroughly exploring the Yogic Arts, she has been inspired to create a new paradigm in exercise and yoga therapy. 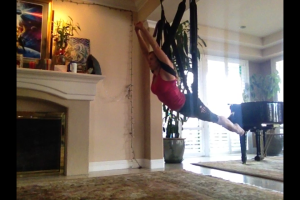 Combining her training with her passion for embodied movement and sacred play, “Aerial Yoga Play” has been born. She brings a unique and innovative approach to her practice that she calls “Quantum Energetics.” Her dedication to the healing arts, somatics, nutrition, yoga therapy, dance, spirituality, and meditation also inform and inspire her work. As a leader in her field, she has focused her mastery on bridging the gap between science, movement, and spirituality. She combines her Master’s in Electrical Engineering and Physics with numerous Eastern and Western philosophies to offer a unique style of Being Engineering and Energy Management. Her sessions seemlessly weave together all of her knowledge and experience to offer a truly Integrative, Intuitive, and Deeply Transformative Experience. A pioneer and revolutionary, Jen Healy is creating a new wave of conscious movement to awaken the mind, body, and soul.